Eco Framing is the first custom picture framing studio dedicated to "green" best practices . We feature sustainable woods, bamboo moulding, advanced recycling and a reinvented supply chain that dramatically reduces the carbon footprint of our work. We offer top quality, museum-grade work at lower prices with faster turnaround. Some of our feature products include variable content display systems (FlexFrame) that enable on-demand swap out of graphics, and a line of P3 ceramic steel magnetic boards. The bottom line is that we combine eco-friendly production, top quality, and deliver this to you at a lower cost to comparable services. Discounts up to 60% from retail are available due to our cost-effective purchasing and design practices. Whether for home or business, our unparalleled selection of moulding and mat board offers a unique, affordable alternative to the traditional over-priced retail frame shops. Turnaround is rapid, and craftsmanship and conservation framing services are top of the line. Full lines of posters, content services, photography and scanning are also available. 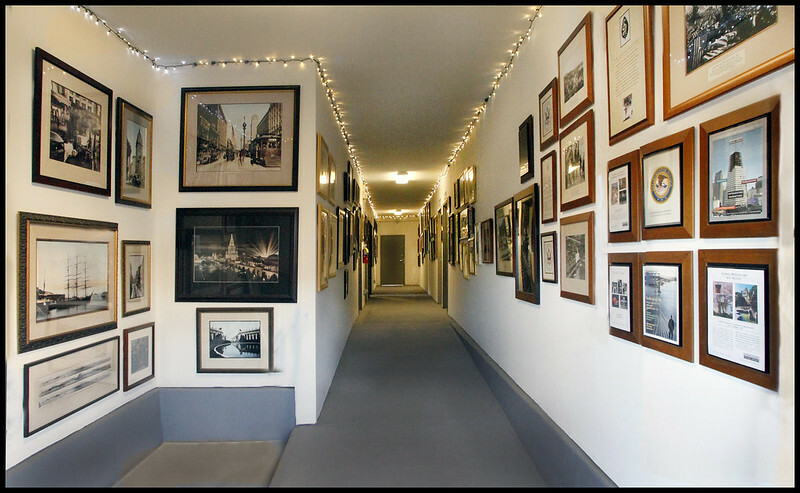 We have provided top quality custom framing services over the years to such notable clients as the Palace Hotel, Charles Schwab, UC California, the U.S. District Courts, Nestle, Momo's, and the San Francisco Bay Club. Now you can take advantage of the services and pricing our clients have been accustomed to. [see Portfolio - Commercial Clients]. We offer custom conservation and contract framing services to the trade and selected customers seeking an alternative to the traditional retail framing environment. Operating from a commercial warehouse location, we have greater inventory and selection than a conventional frame shop, and offer discount programs not available elsewhere customized to our customers individual needs. 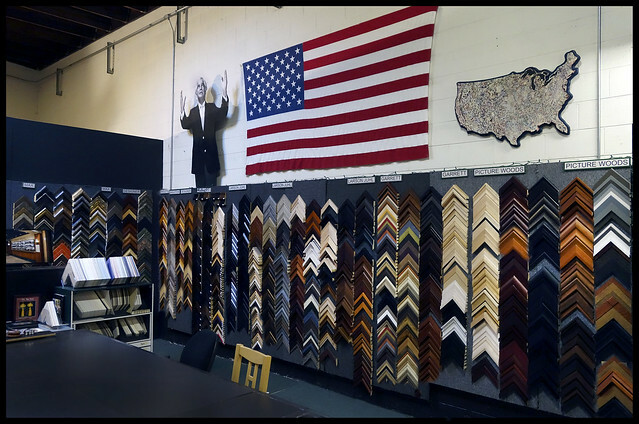 In our unique environment, you work directly with the framers who produce your work, choosing from an unparalleled selection of frame moldings and matting options. Examples of finished work are displayed throughout the studio to provide ideas for your projects. We have served the framing needs of architects, art consultants, designers, hotels, corporations, and individuals since 1980. Eco Framing was founded in 1980 by Bennett Hall. Hall, native San Franciscan and graduate in art with an emphasis in photography from San Francisco State University, has been a fine art and commercial photographer of the City since 1970. He began designing and producing exhibits for diverse corporate clients, hotels, hospitals and government facilities in 1980 [see Portfolio: Commercial Clients]. Hall co-founded the first Business Improvement District in San Francisco in 1992, while operating his gallery on Powell Street. (1991-2001). Business Image Group offers enterprise resources for art programs using community content and brand-assets merged with an integrated marketing program. Eric Linville, a Bay Area native, started his love of framing in 2003 working mainly as a designer. About 2 years later he took on more of the framing aspect of the business. He began working for Eco Framing in 2011 where he took on another aspect of framing, installation. His favorite thing to frame is the object that you might think is impossible to frame, and items like guitars, lacrosse sticks or baseball memorobilia. In his spare time he likes to play Discgolf, and spend time with his wife Melissa and son Logan. PPFA leads, unifies, and serves the art and framing industry as an advocate for its members and by offering programs that elevate professional standards, enhance profitability, and expand sales. PPFA will disseminate timely information, products, and services and provide forums contributing to increased profitability, business growth, and a sense of community for the global framing industries. The Montclair Village Association (MVA) is a Business Improvement District (B.I.D.) made up of approximately 230 retail and service businesses located in Montclair Village.